The Matchbox Wessex kit first appeared in 1987 and at the time it caused a great deal of excitement; up until that point the only option for the 1/72 Wessex modeller had been the ancient 1963-era FROG HAS 1 Kit (which was not a bad kit, but even then was no longer easily available, even in its NOVO guise). Even better, Matchbox’s kit was based on the far more common Mk V version, with its twin engine nose and distinctive double chin intake. 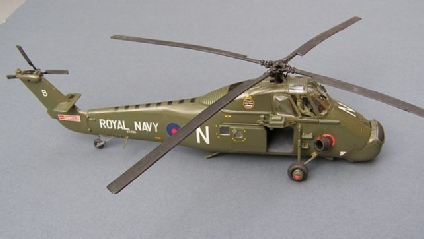 At that time, Mk Vs were still in widespread service with the Royal Navy and the similar Mk 2 was in use with the RAF as a troop carrier and SAR aircraft (although the latter was about to be replaced by the ubiquitous Sea King). 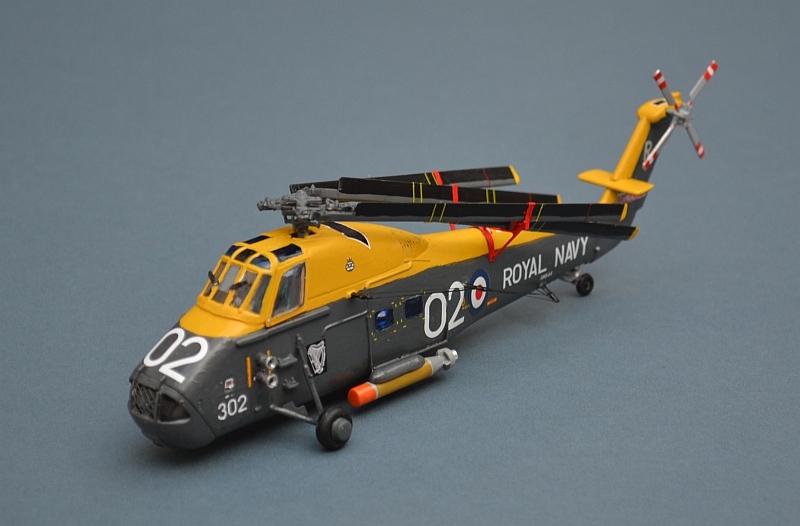 Naval Wessex aircraft had played a major part in the Falklands war, both as utility helicopters and (in the form of the Mk 3) as an ASW platform. 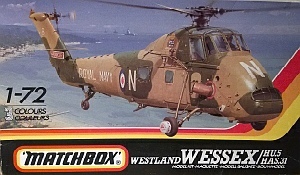 For the overseas market, Matchbox included markings for an Australian HAS.31, with a separate nose section that could be added with a little plastic surgery. I built my first one of these in 1987, just after release and was pleasantly impressed. In some respects, the kit is typical late Matchbox in terms of quality, a little off in proportions (it is too wide and flat), and with minimal detail. However it also has a remarkable number of parts squashed into its standard size box and is actually quite a complex build, especially if you decide to use the alternative nose (Matchbox give the kit a skill rating of 3 out of 4, with which I strongly agree, in fact I might have gone for 4/4). 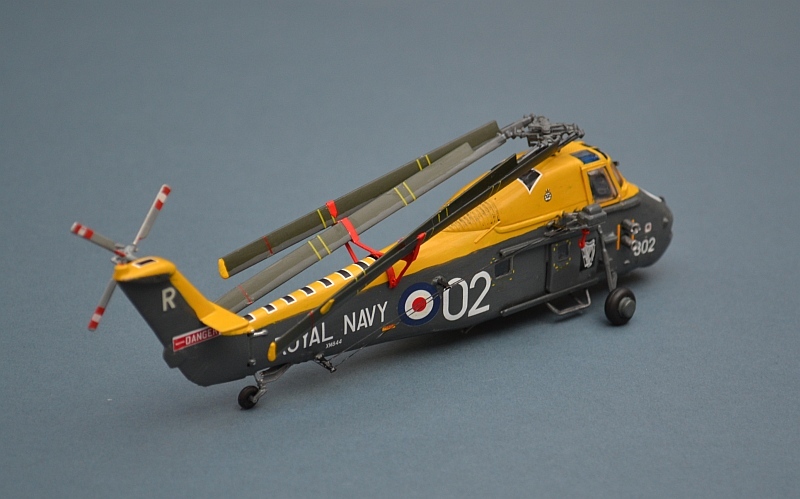 Pleasant little touches such as the wire aerial masts are surprising on a kit of this level and era and although sparse in detail by today’s standards, it even has a basic cockpit and an option to fold the tail rotor. Matchbox clearly made a significant effort with this one, with the result that some of the finer parts are a little beyond their moulding technology, suffering from flash and a tendency to break when removed from the sprue, even on the first issues. All of mine (it is a PK133 first issue) have had lots of mould sink marks on the sprues, but to Matchbox’ credit, the sprues have been carefully arranged so that these have not actually been on any of the parts, an impressive achievement. 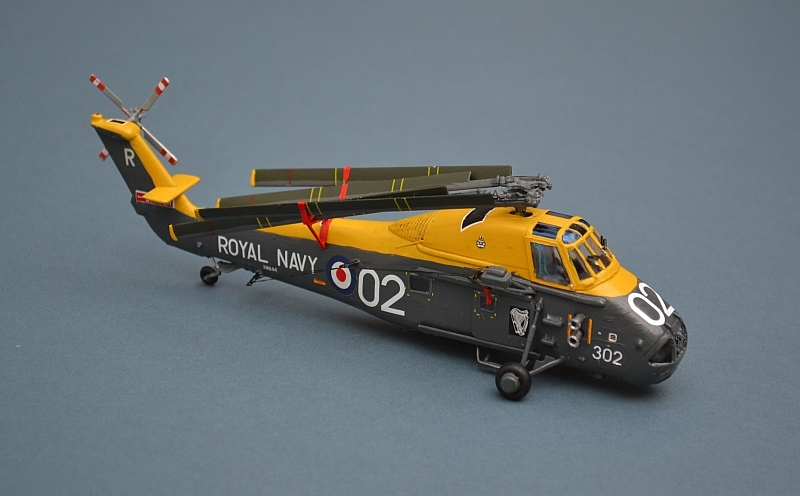 The HAS.1 and Mk 31 are very similar, so the kit is an ideal starting point for use of the Wessex decals from the Xtradecal 815 Sqn set. 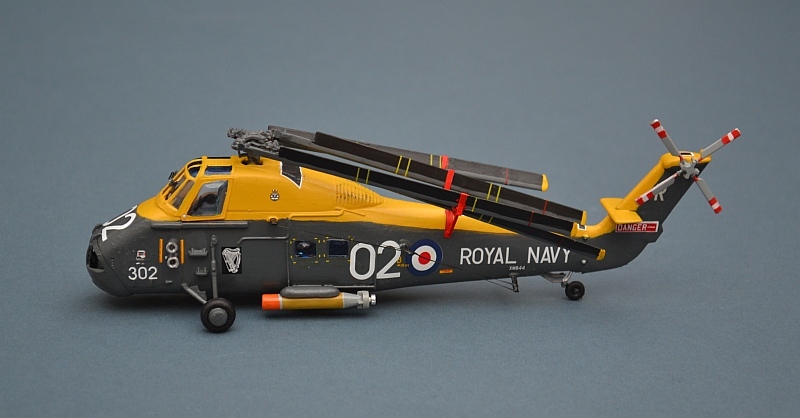 As with the more modern (and by no means perfect) Italeri/Revell Wessex kit) there are no ASW weapons or pylons provided, so the spares box was raided for some parts from an Airfix Lynx, including a Mk.44 torpedo – not entirely accurate, but good enough. The kit’s undersides are set up entirely for the Mk V version and no alternatives are provided for the Mk.31, so a few parts were scratched up including the distinctive twin doppler mushroom aerials that allow hands-off automated hovering in the dip and a blank over the dipping sonar hatch (references disagree, but it is my understanding that the aircraft normally flew in twos, each with either sonar OR weapons, not both). The kit’s intake is very basic, with a solid part over the metal gauze central section. This is such a distinctive feature of the Wessex that I had to fix it, carefully cutting out the incorrect part and replacing it with some suitable material and plastic strip. It kind-of worked, but the gauze is too large – perhaps something I can resolve in future. 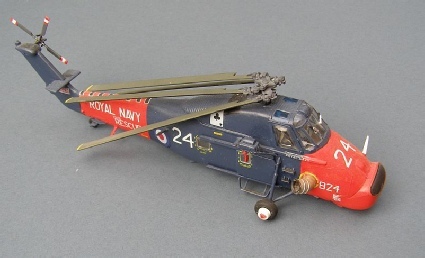 My current “policy” on helicopter blades is to try and fold them, both for storage/display purposes and because I think they often look much better that way. 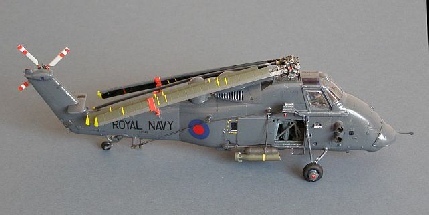 I did exactly this 7 years ago with my Wessex 3, constructing a simple frame from plastic card and sprue to hold the stowed blades on the tail. Its not entirely accurate, but good enough for me, so I have repeated the trick with this one. More importantly I have listened to the numerous feedback e-mails I received, and this time they are stowed the right way up!!!!! 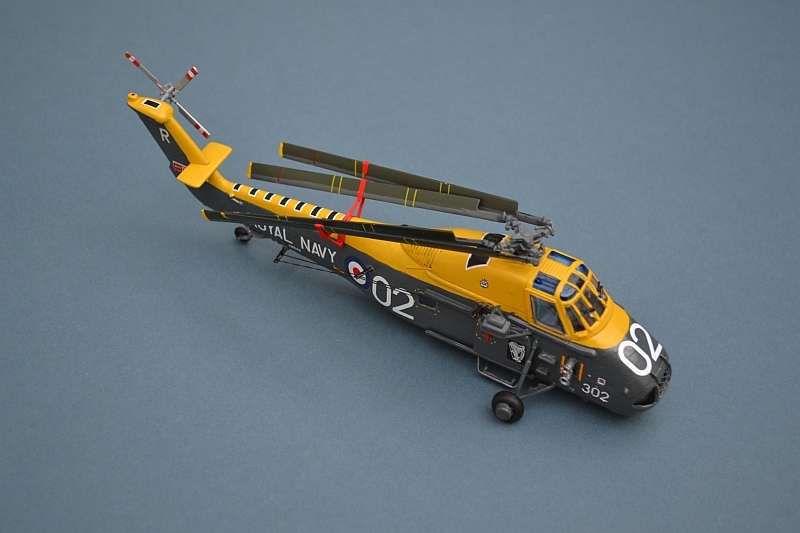 I eventually left out the folded tail rotor – folding this had been my original plan since Matchbox provide some nice parts, but unlike the folded main rotors I think this option does spoil the look of the finished model. 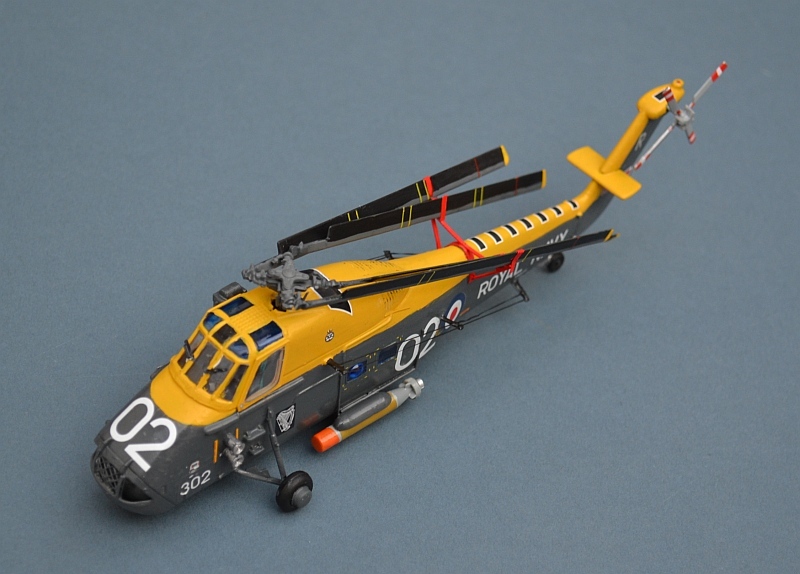 A quick word of warning; it is possible to attach the the tail rotor the wrong way round (this is one of the major criticisms of the Revell kit), so check a photo before you glue. Finally, the wire aerials were added to their posts using lycra thread and superglue. This is a moderately fiddly job that adds a huge amount to the final model’s appearance, especially if you add both sets. Painting the model was a pain and needs to be done progressively during the build before individual areas become inaccessible. Yellow is never easy to paint and I added a white undercoat to help cover the green/grey and blue multicoloured Matchbox plastic. Pain is a mix of Humbrol (yellow/white and others) and Xtracolour enamels, all brushed on as normal. The Xtracolour RAF blue/grey is a good match for the real thing, but suffered form a problem I have often found with Xtracolour paint; it seemed reluctant to actually spread over the surface and was very translucent, demanding a second coat. Interestingly, it dried much less translucent than it looked as I applied it. To be fair, this is a tin I have used several times before, so that may have been the problem. A coat of Klear floor polish was applied before the decals, which are a mix of the Xtradecal set, plus some kit Matchbox ones, plus a few from the Revell kit. The final result is very pleasing and adds another important RN aircraft to my collection. This kit is not the easiest of builds and not really recommended for beginners (Italeri’s kit is a far better option for a Mk V or HAS 3, although still a complex build). Matchbox/Revell made two further releases of the kit, a colourful SAR variant in 1991 and the original re-boxed in 1997, sadly neither in their trademark multicoloured plastic. However, despite its age, it remains a viable option for those who wish to have an early Wessex in their collection. On its introduction to service in 1961, the gas turbine powered Wessex marked a step change in the Royal Navy’s anti submarine warfare capabilities. 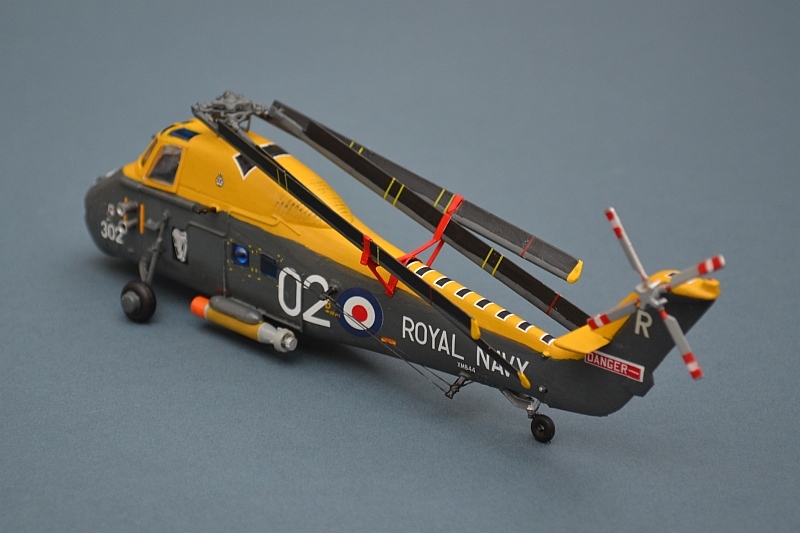 It was the first Fleet Air Arm helicopter to be designed for ASW from the start, bringing a number of key improvements over its predecessor, the Whirlwind. With advanced avionics, the ability to carry the latest NATO Mk.44 homing torpedoes and a US-sourced Bendix dipping sonar, its Napier Gazelle turbine provided far greater power and reliability at a lower weight than the conventional piston engine that powered the US Sikorsky H-34 from which the Wessex had been developed. 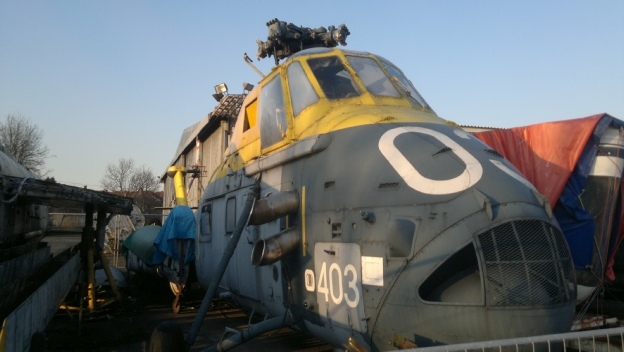 Better still, its gas turbine engine allowed the RN’s carriers to dispense with flammable petroleum fuel and move to the far more stable, safer and easier to handle AVCAT. The Wessex HAS1 was hugely successful, but naval technology was moving rapidly forward and it was soon obsolescent. With the introduction in 1967 of a far more capable UK dipping sonar by the Plessey company a practical lightweight radar set and a more powerful engine, a new Wessex variant, the HAS3, was introduced. 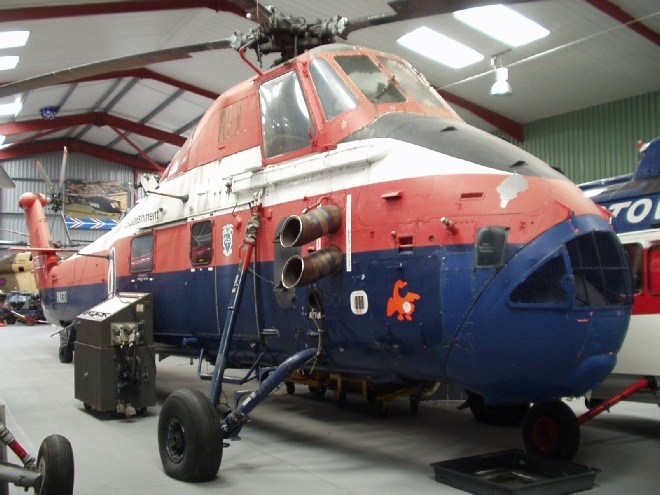 A number of Mk.3s were converted from Mk.1s, with many of the rest being adapted for Search and Rescue duties, a role in which they continued until the late 1970s.